Excerpt: How will it be possible for me, simple and of little intelligence, to express appropriately what cannot be easily assessed or well understood? However much one has been able to learn, one could not fully describe what I yearn to write. That is because of the great variety of specific adversities and occurrences comprising the heavy burdens that the fickle influence of deceitful Fortune engenders. They are the result of her vast repletion, itself a veritable abyss of unfathomable depth. I cannot help but fall short in undertaking a work as vast as describing the envious nature of her deception. It would be difficult for me to speak of it adequately, given my limited intelligence, when many distinguished people have written about it and have been incapable of recording all that can be said about her. Excerpt: The primary aim of this book is, more simply, to introduce how and why the premodern past is manipulated and deployed as a means to certain political ends today. The first chapter introduces the medieval as an inherently politically charged concept in contemporary political discourse and examines dark medievalism in particular. The second chapter then turns to the far and extreme right’s association of white identity with the Middle Ages at the more radical ends of political discourse. The third chapter examines Traditionalist Conservatism in the US and Europe, showing how the far- and extreme- right’s embrace of medieval cultural heritage has been central to certain strands of relatively mainstream conservative thought for decades, if not longer. 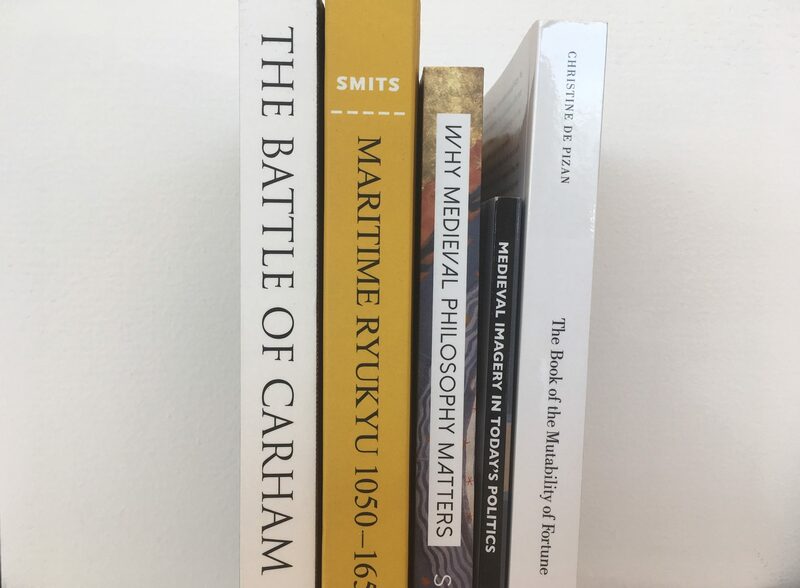 The fourth chapter turns it attention to political medievalism on the left (though not exclusively left) and in the academy by considering the concept of ‘neo-medievalism’ and revisiting the New Medievalism of International Relations theory. Excerpt: Philosophers with a special interest in medieval thought have spent much time and effort expounding the virtues of scholastic principles to other professionals in the discipline. Indeed, it might appear that specialists in medieval philosophy have little else since serious work began on the project or recovering the thought of the scholastics well over a century and a half ago. Our collective endeavours have continually been straining in the same direction – making the case for medieval philosophy to the philosophical mainstream. So why yet another work on why medieval philosophy matters? Surely if there is a case to be made for medieval philosophy it has been by now. Excerpt: This book is an interdisciplinary, revisionist history of the Ryukyu islands between approximately 1050 and 1650 with occasional excursions into later years. The year 1050 marks the approximate beginning of the ‘Gusuku Period’ in the Ryukyu islands, a time when power centers emerged. In 1650, Sho Shoken (1617-1675) published Reflections on Chuzan (Chuzan seikan), Ryukyu’s first official history. For reasons that will become clear, this event is a fitting end point for this study.